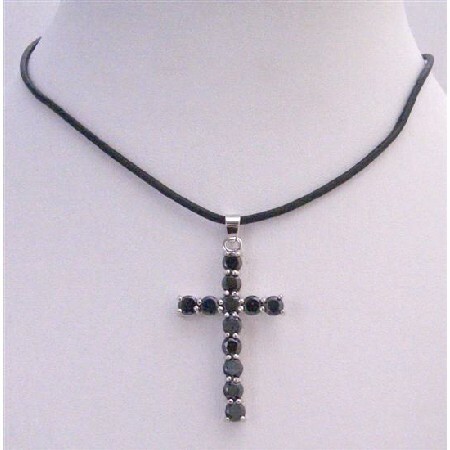 Very Beautiful Mounted 2 inches Long Black Cross pendant with round black crystals embedded on the cross pendant accented in beautiful genuine leather cord Necklace. This magnificent & Pendant Perfect with any outfit Superr Grade RARE HIGHEST QUALITY. Good shinning surface quality with unique attractiveness & fashionable flair to this stylish. What is in this season? Check this out! Necklace a trendy piece with beautiful Cross Pendant Necklace a perfect piece for anyone to wear for a formal or casual occasion.